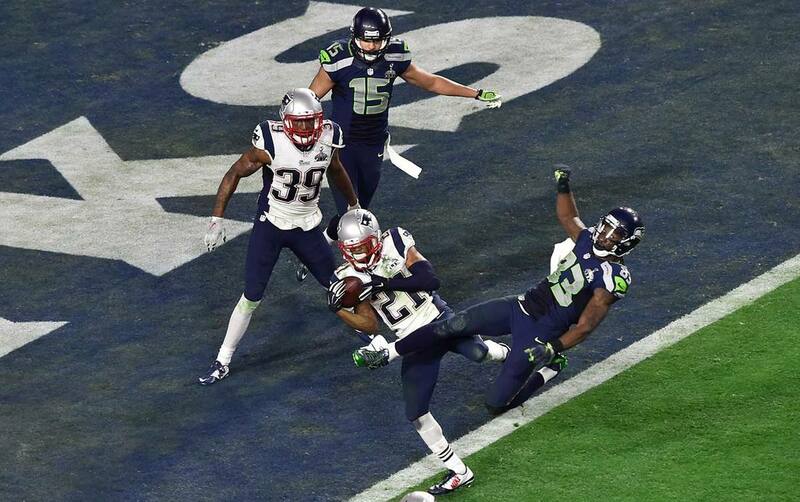 The New England Patriots and the Seattle Seahawks put on one of the best Super Bowls in history, and like many great games, it came down to the last seconds of the game. To one play. The Play. 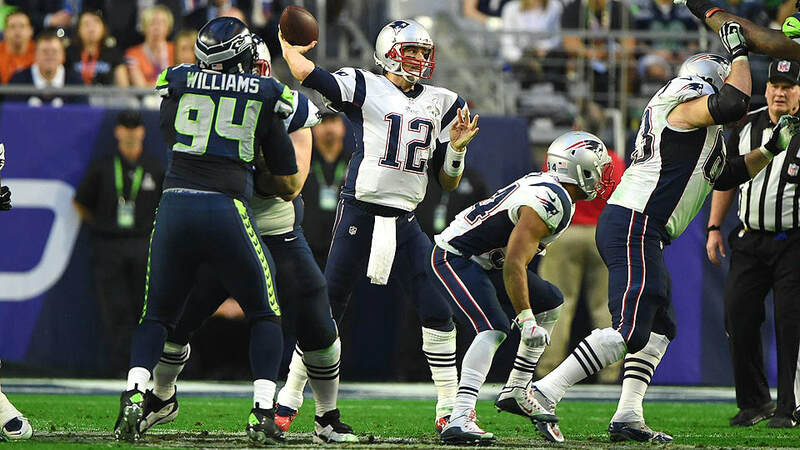 After a scoreless opening period, the defending champion Seattle Seahawks found themselves 7-0 down when the Patriots' Tom Brady and Brandon LaFell connected on an 11-yard scoring pass. 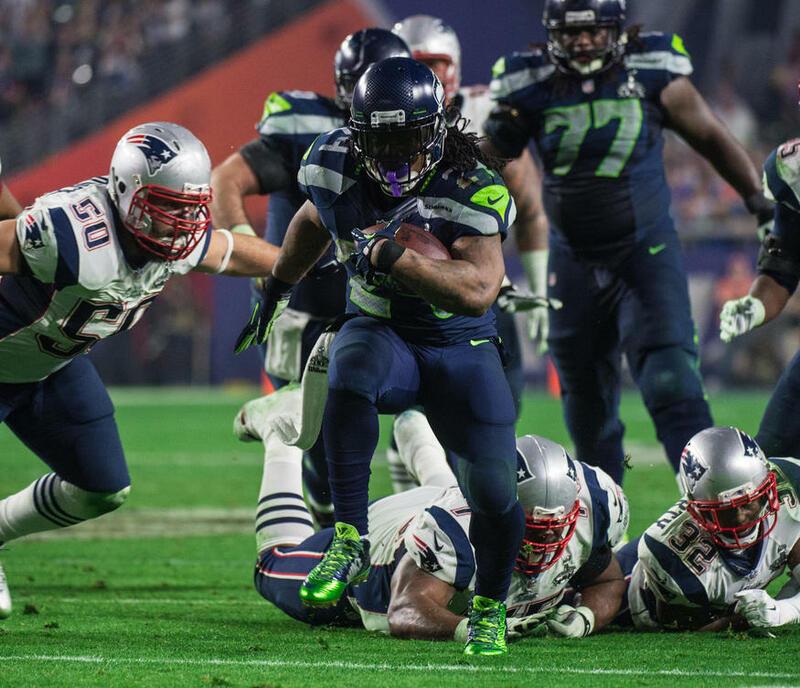 Not to be outdone, however, the Seahawks drove down the field and levelled the scores off the back of a Marshawn Lynch 3-yard run. 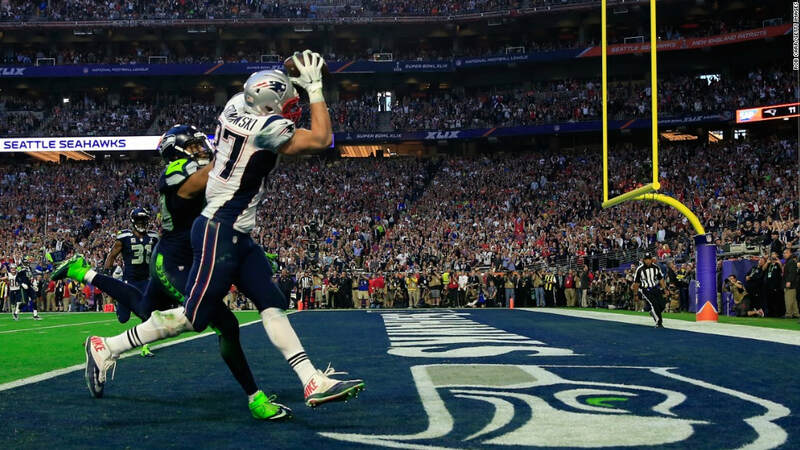 New England's Rob Gronkowski and Seattle,s Chris Matthews each scored touchdowns for their respective teams before the half to make the halftime score 14-14. 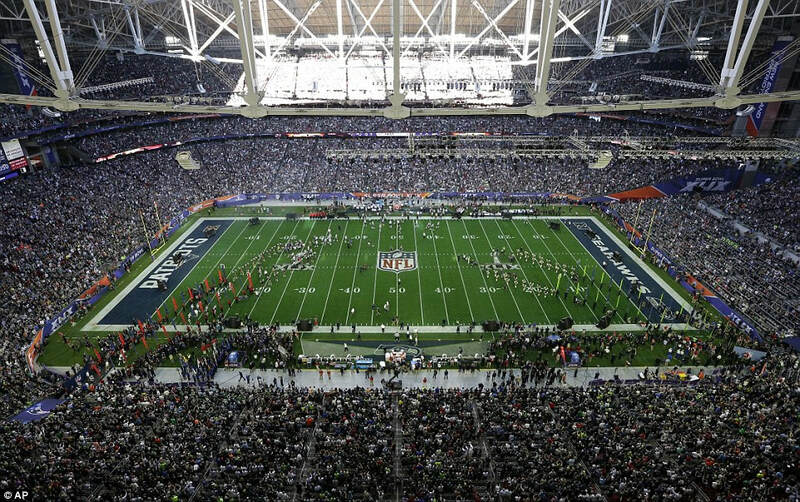 The Seahawks looked to have found their championship form as the third quarter progressed, however, scoring ten unanswered points to go into the final period leading 24-14. The Patriots responded to the Seahawks ten third quarter points with fourteen of their own in the fourth off the back of two short Tom Brady touchdown passes to Danny Amendola and Julian Edelman respectively, and with time running down, they had the lead, 28-24. Seattle began to drive down the field. 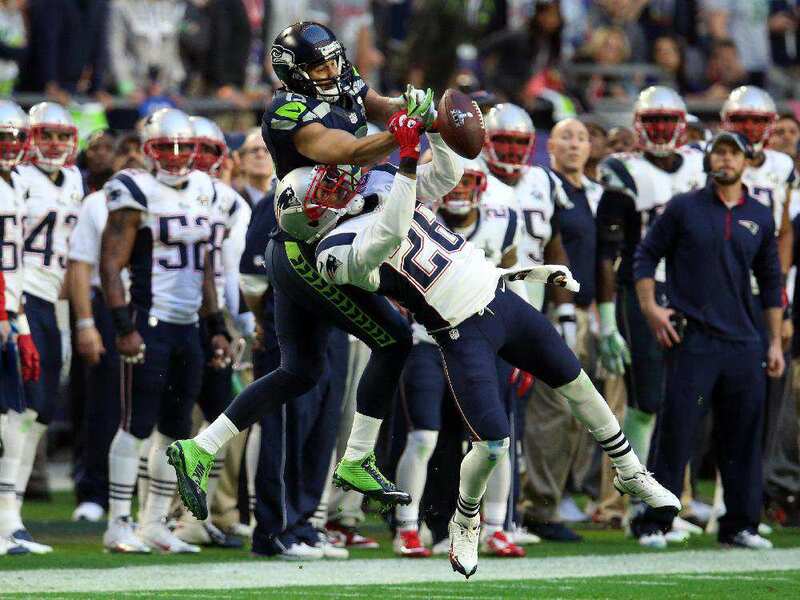 A spectacular grab by Jermaine Kearse looked to have landed a big emotional punch to the Patriots' defense, and as the Seahawks chipped away and approached the goal line, the ending looked inevitable. 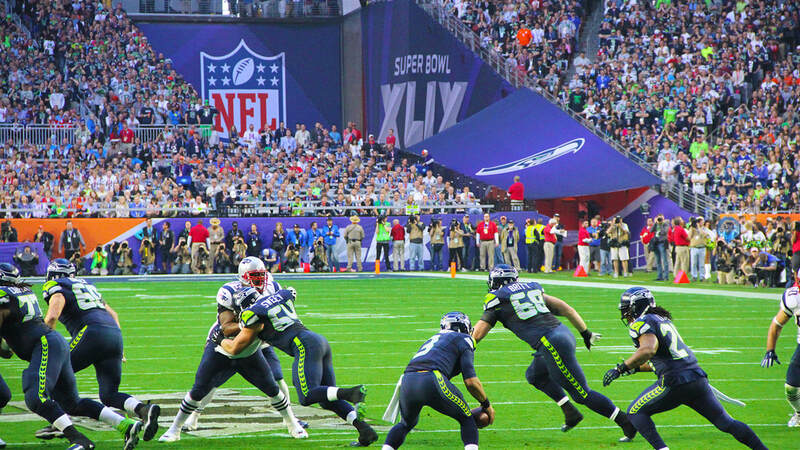 Everyone in the stadium expected Marshawn Lynch to get the ball as the seconds ticked down and the ball rested at the 2-yard line. However, as Russell Wilson took the snap from center, he kept the ball and then fired it to a receiver coming across the middle. Except it wouldn't get there. 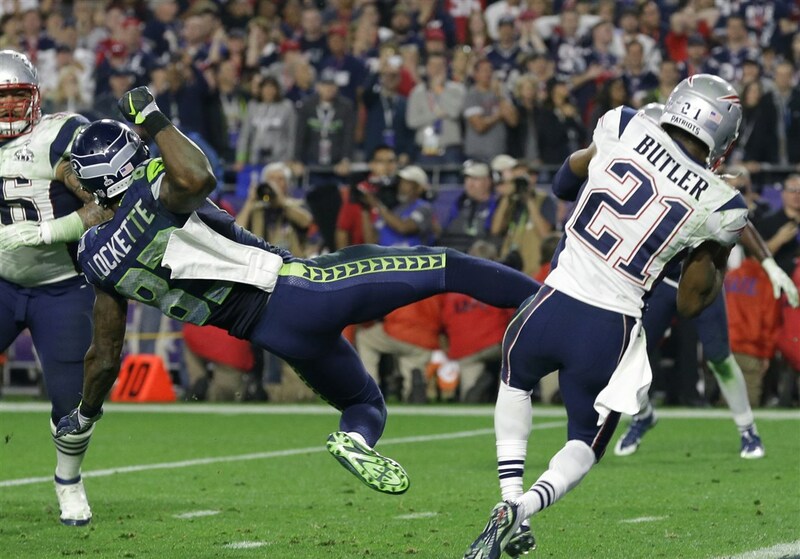 Patriots cornerback, Malcolm Butler, forced his way in between the ball and the receiver and made arguably the most important interception in Super Bowl history. The Patriots had held on, and were winners, 28-24. The infamous play at the end of the game was hotly debated for weeks afterwards, and then even into the following season. There were many takes on the call, some of which you can view below.